Packs are encouraged to hold spring recruiting events. 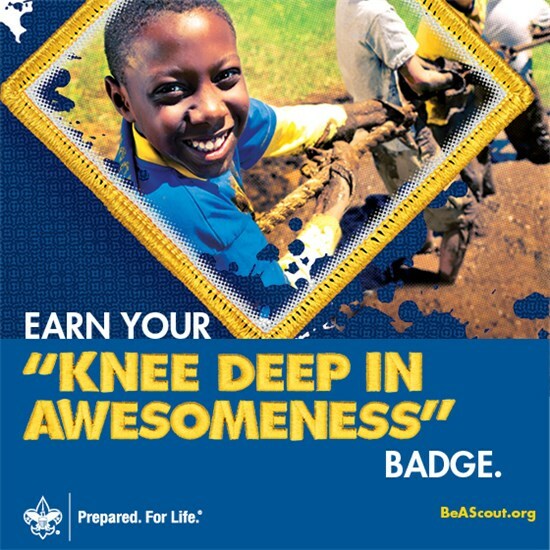 Recruiting events can be any sort of fun activity that would entice elementary-aged youth to checkout Scouting. This can be simply inviting potential recruits to an already scheduled summer pack activity, or it can be a separate event focused primarily on recruiting. 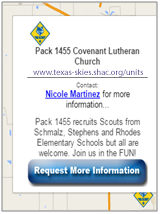 Invite newly recruited Cub Scouts to attend day camp and pack summer events. Sometimes we think we can only recruit in the fall, but spring is a great time to get new Cub Scout and their families involved early. The council provides a variety of support materials for your pack, including flyers. Verify the unit contact information on the Orion District units page. Please make sure your unit’s information is correct. There is a link at the top of the page to submit corrections to the webmaster. Also, fill out our social media survey, so we can help promote your unit. We suggest you list your feeder school(s) and/or church in the description. If your unit does not have a website, refer them to the district website (preferably the unit’s page, www.orion.shac.org/units). The Cubmaster and committee chair have access to update the information. Helpful hints can be found at www.shac.org/beascout-instructions.